Make sure we have received your VAN API key. You can check this by clicking on the VAN Settings, if you receive this message you need to request an API key. From here you need to manually use “Add Event Types”. The “Event Type” column has pre-set event types from Mobilize America, from there you need to link them to your MyCampaign event types. 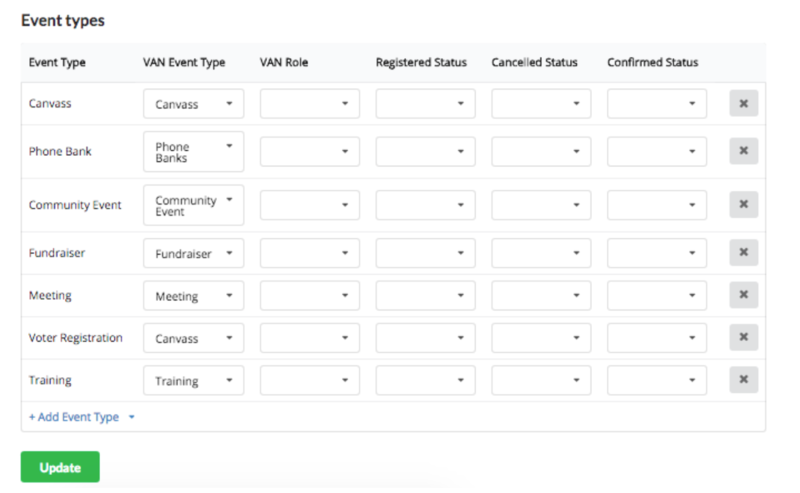 You can finish your VAN sync by selecting VAN roles, Registered Status, Cancelled Status and Confirmed Status for each event type. When you are done, the VAN Settings tab will look similar to this. 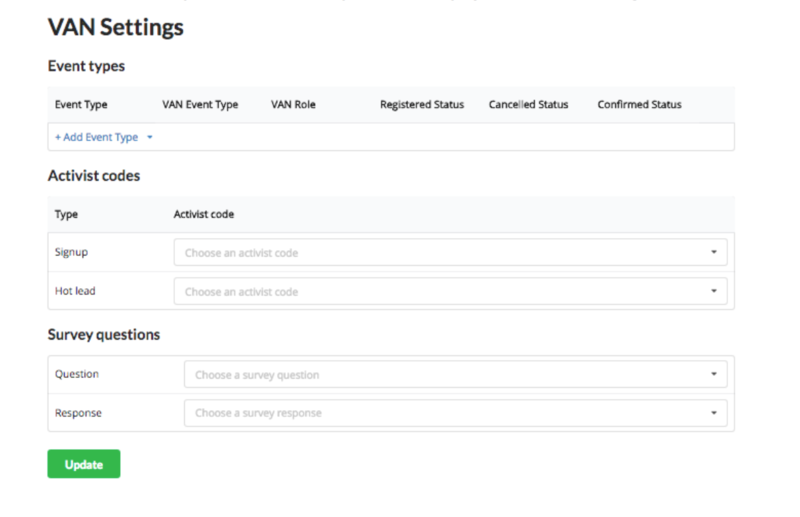 Once you have finished filling out the VAN Settings, you can start creating events that sync seamlessly to VAN! Have any questions about setting up VAN sync? Contact [email protected] and we will help you get up and running.